Imagine miles of golden beaches, brilliant blue skies, and rolling surf. The Sunshine Coast of Australia is full of cosmopolitan cities, mountain peaks, rainforests and never-ending coastline. Fly directly from Sydney or Melbourne into the Sunshine Coast Airport, pick up a rental car, and spend your holiday exploring this beautiful destination at your own pace. The roads on the Sunshine Coast are easy to get around, well signposted, and perfect for heading out in your rental car. The Bruce Highway runs the length of the coast, so you can easily head up to Brisbane to explore the city. Be mindful of heavy traffic during peak season and watch for pedestrians. The Sunshine Coast Airport is less than 10 minutes drive away from the centre of this bustling coastal community. Signs on your way out will guide you to popular locations such as Noosa and Mooloolaba, and back out to the airport when you need to return. ● The speed limit is 50km/h in the town, and up to 100km/h on rural roads and highways unless otherwise signposted. ● The blood alcohol limit is .05, but we suggest not drinking at all if you intend to drive. ● Make sure you abide by give way and stop signs. ● Watch out for animals crossing the roads, especially in rural areas. Sunshine Coast Airport has 3 designated car parking areas for both long and short stays. Well within walking distance to the terminals, they range from $6 and are all highly monitored. Around the Sunshine Coast there are secure car parking buildings, and paid street parking is signposted and time restricted. At Airport Rentals we provide you with options from a range of rental suppliers. Compare brands, price, style and more to find the best available vehicle for you, at a fantastic rate. Simply pop in your travel dates, and click search to view an incredible range of vehicles. Use our handy filters to narrow down your options and find the perfect car for your holiday. The Sunshine Coast Airport is located just north of the main coastal community, and is full of friendly staff who are more than happy to guide you in the right direction. It’s easy to pick up your rental car from the airport, as all the hire companies are located in the arrivals lounge. Fancy seaside resorts to modest motels and quaint bed and breakfasts - the Sunshine Coast has everything you need for an enjoyable stay. Sand Dunes Resort and Salerno On the Beach are just a few of the hotels close to the airport. In Mooloolaba, Osprey Apartments offer great quality accommodation, but if you’re after something a little cheaper check out Golden Beach Tavern in Caloundra. 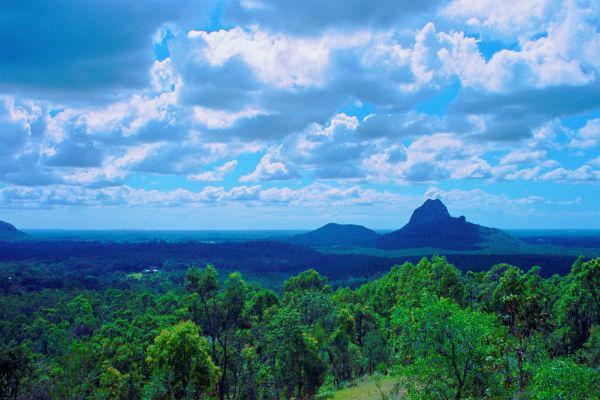 If you’re heading up to the Glass House Mountains, the Ecolodge is in perfect proximity to both the mountains and Australia Zoo. Packed with shows throughout the year, the Sunshine Coast is the ultimate destination for music, sporting and lifestyle events. ● The Sunshine Coast Ukulele Festival draws people in from all over the country. ● Agricultural Festival showcases the best in the industry every June. ● Nambour Gemfest is a fascinating day event in October each year. Sports fill up the event calendar throughout the year, and there’s bound to be something on when you visit. You can find a full comprehensive list of sporting events on the Sunshine Coast Council website. Fine dining to market stall cuisine, the food alone on the Sunshine Coast will make you want to visit. Down in Mooloolaba, have dinner at the Asian fusion Spice Bar Restaurant, or head inland to the Terrace Seafood Restaurant in Maleny for fantastic service and a delicious menu. If you’re in Noosa, be sure to visit Locale for an Italian meal, or sip a coffee at Grind Cafe while enjoying the view of the Noosa River. The weekends offer an abundance of markets throughout the area. You’ll be sure to pick up some delicious street eats, both of local taste and international flavours. 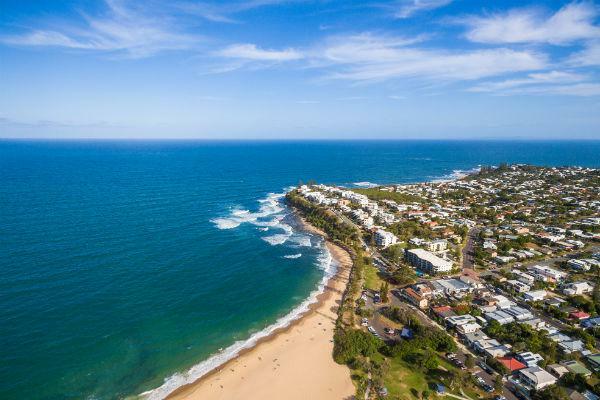 The Sunshine Coast is home to over 330,000 residents and the stretching coastline attracts more than 3.2 million visitors a year. The talent and range of skills in this dynamic city create a fascinating combination of art, history and environmental entrepreneurs. Fun for the whole family, the Australia Zoo in Beerwah, and the UnderWater World Sea Life Aquarium in Mooloolaba are must-do day trips. Both the Maroochy Regional Bushland Botanic Garden and the Maroochy Wetlands Sanctuary are full of wonderful wildlife and have fantastic walking trails throughout beautiful forests. Other places to drive to are the Ginger Factory, an award winning educational attraction about honey and ginger, or head to the Big Pineapple in Woombye to learn about this tropical fruit. The public bus system is run by Translink. The buses run on routes right around the coast, and have a timetable available on the Translink website. There is also a train which runs between the Sunshine Coast and Brisbane. It’s not called the Sunshine Coast for nothing. The summer months of December - February are hot and sunny, averaging between 17 - 28 degrees Celsius. Winter barely drops in temperature and averages of 7 - 22 degrees Celsius.